We think most business owners would agree that employment background checks are a good idea. We would all like to know more about the people we intend to hire and certainly do not want to put our companies at risk by hiring the wrong people to represent our interests. At the same time, we come across far too many small business owners who fail to put proper employment screening measures in place. Whether for lack of planning, a false sense of security, or because they believe they have “a good read on people,” failing to screen your employees is like walking through a minefield. Sooner or later you’re bound to have a problem. 1. 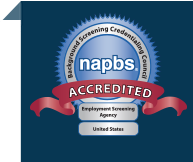 Open a background screening account with a qualified employment screening provider. Look for a provider that is an active member of the National Association of Professional Background Screeners (NAPBS) and a Concerned CRA. Opening an employment screening account is a simple but necessary process required to maintain compliance with laws governing screening. 2. Determine the type of background checks you’ll order. Your background screening provider can help you build a custom employment screening program with services to meet your hiring needs. Alternatively, some providers offer pre-designed background screening packages. The pre-packaged approach can work well for small businesses that seek the ultimate in simplicity. Proforma offers pre-designed screening packages for small business customers through our EZ-Authorize service. For medium and large companies we recommend our custom screening solutions through E-Authorize. 3. Order background checks as needed. Most providers offer online access to your employment screening account. This makes it easy for you to log into your account and order background checks. Remember, you must obtain applicant consent before performing any background check. Your screening provider can provide you with the paperwork you’ll need. With Proforma, your applicant can conveniently log into a web-based portal to provide consent using our mouse-enabled signature technology. 4. View results through your online account. Once your provider has completed the background check you’ll be able to view the results through your online account. At this point you’ll be able to make a better-informed decision about your candidate. Of course the decision you make will need to consider applicable laws and rules, including those established by FCRA, EEOC, and the Fair Hiring Act. We make background screening easy for you and your applicant. Start today by opening a background screening account.